I survived my first of I’m sure many nights in a shared hostel room. I usually avoid communal sleeping situations, but it seems that it may be much more common in Australia and New Zealand and I’m going to have to adapt. Later in the evening, a third gal showed up and bunked on top of my bed. I never met her as she had dropped her things off while I was out and then returned well after midnight when the lights had been out. Thankfully, no snoring. I’m actually worried about myself snoring right now. I can get sinus congestion when I fly and it seems to be acting up with pressure and some blood. More blood than usual, but I think that’s due to the extended time on the plane in such dry air and then landing here. I just hope it doesn’t develop into something worse. What did keep me up was a bird outside! I almost went out and recorded it. It was a long song that had a pattern of three long songs that then repeated…all.night.long. Think of the Harry Potter song mixed with the tone of a creaking door. I woke up at 5am to my bird alarm, and was pretty wide awake, so I just got up. 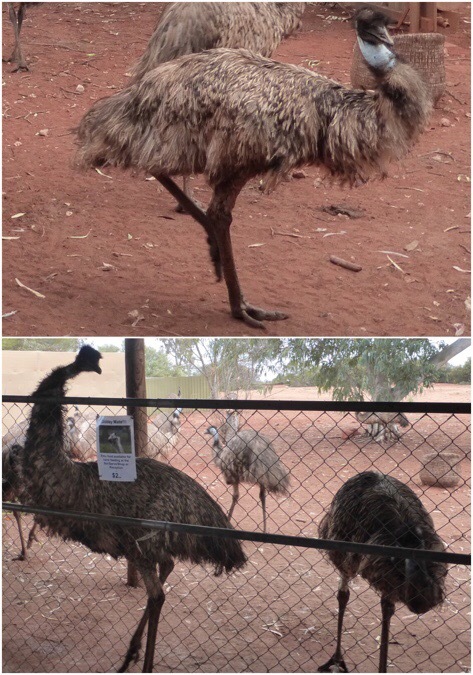 The Emu Run tour to Uluru that I signed up for picked me up at 6am and stopped at many locations to pick up people. I got to see my first Australian sunrise from through the window of the bus. It was quite wonderful and I’m pretty exited to see this daily as I hike the Larapinta. Not the best photo as it was from a moving bus, but it’s one I want to remember and put on the blog for my personal memory sake. We rode a couple hours to a little pit stop called Erldunda where there was a buffet breakfast for the group (~40 people) and an Emu farm. I’ve never seen an emu and it was quite entertaining. I might see more as I hike I think, but here’s some less than stellar photos. I had taken a funny video of the emus that I was going to take photos from or possibly post a clip from, but I managed to accidentally delete the wrong file and it’s gone, gawh! They were spastic with their necks craning every which way, quickly darting from side. Their larger lower half seemed to have a delayed reaction and would follow the direction of the head a second late, like the tail of a streamer. Fun to watch. The total drive to Uluru-Kata Tjuta National Park was around 5.5hrs. 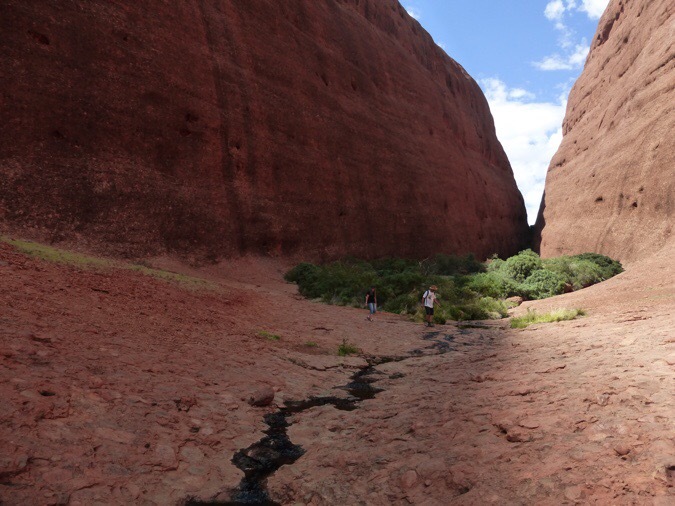 Along the way, they showed a National Geographic special on the area we are going through, which is known as the Red Centre (rocks often appear red) that also included a segment on the Larapinta Trail, which got me really excited about hiking it. 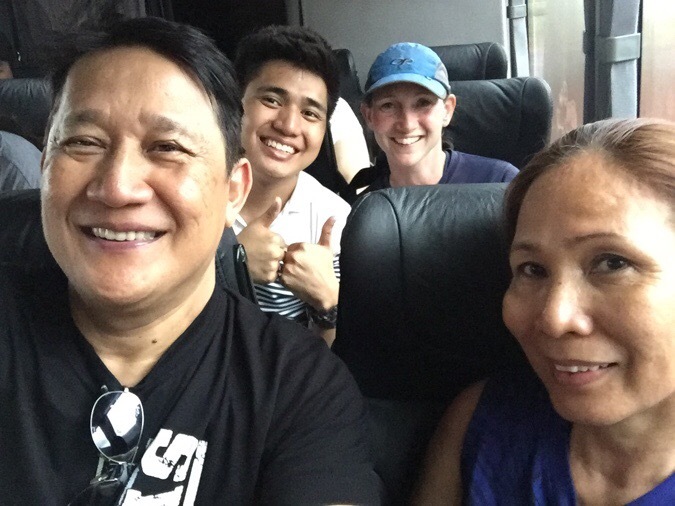 Fun touring with JB and his parents for the day. 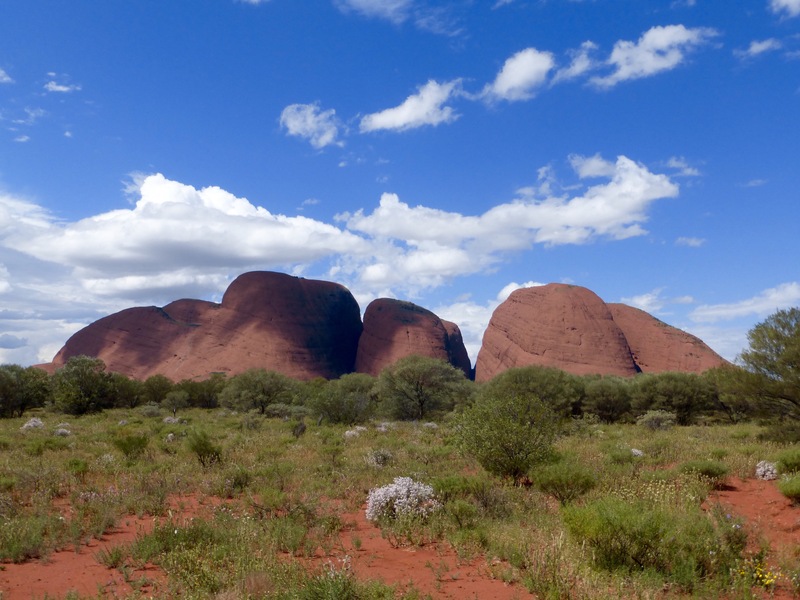 Once in the park, we went to see Kata Tjuta, which is a bunch of smaller rock formations. It is pretty cool to see such large formations appear from nowhere after hours of driving along a flat landscape. We were given 40mins to walk in the Walpa Gorge, which was 2.6km/1.6mi. I enjoyed stretching my legs and walking back as far as the trail would go. 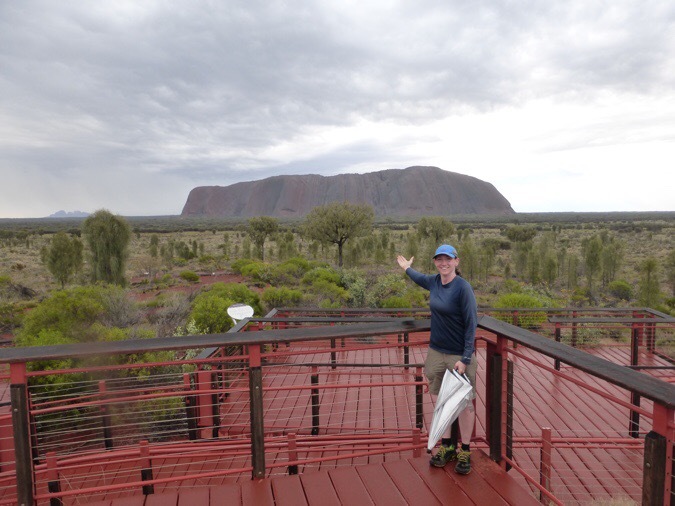 From there, we headed to the main attraction, Uluru (Ayers Rock). Before we went, we got to spend time at the cultural center and gift shop. It’s an interesting system they have going here. This National Park is on sacred Aboriginal land, that is highly destined and a lucrative tourist destination. There is a very fine line that is being walked here, and it’s nice to see efforts to integrate Aborigine culture, but similar to our abuse of Native American land in the US, it felt a bit patronizing. 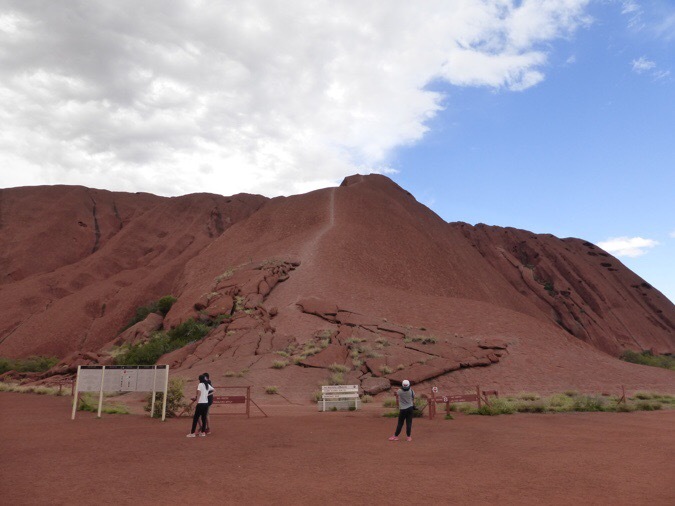 For example, it’s clearly communicated that Uluru is a sacred place, and that the Aborigines wish for people not to climb Uluru, but rather walk around it and take it in at a deeper more reflective level. Then you walk up, and front-and-center is a fully chained formal walk-up to the top. It’s such blatant disrespect! 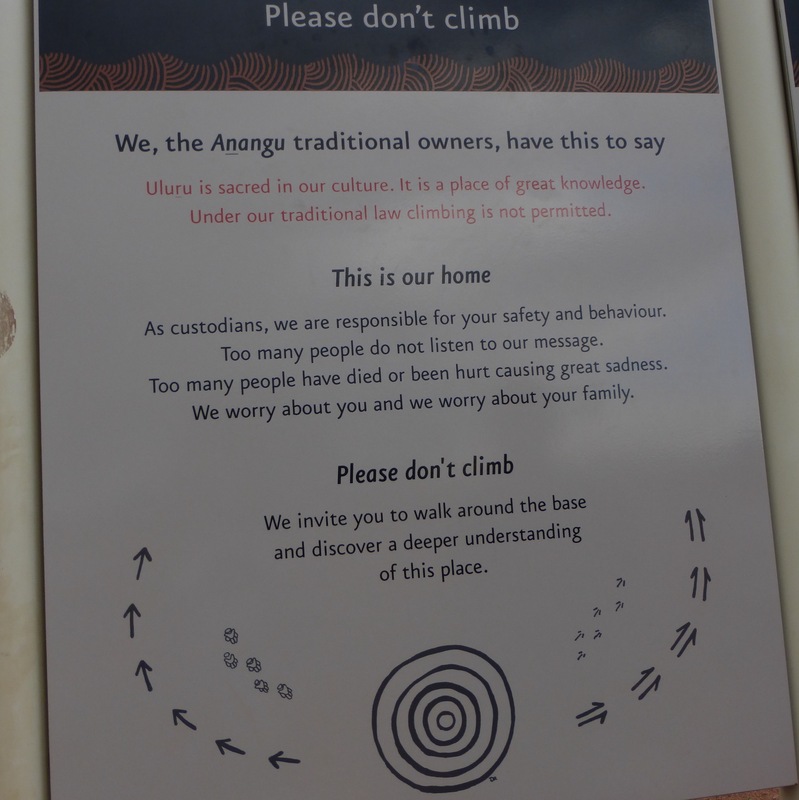 Oh wait, they allowed the Aborigines to put up a sign on why people shouldn’t hike it, so that’s supposed to make it ok!? The commercial path to walk up Uluru Rock that reminds me of Half Dome in Yosemite. The sign right in front of the formally chained walk-up. We also got to go to an area called the watering hole that was cool. As the day wore on, clouds got darker, and thunder rolled. It rained on and off, which is really rare out here. They’ve actually had very high rainfall this year and said that normally it isn’t so green out here. There are also lots of wildflowers and everything is quite lush. It’s just very unique to see the area so well watered. We got to see waterfalls come from nowhere on Uluru as the rain poured down the rock and funneled to the cracks. I am loving it and excited to see even more scenery like this along the Larapinta with more showers forecasted through the week. Gossamer Gear Liteflex Chrome umbrella to the rescue! One more view from afar with Kata Tajuta to the left. 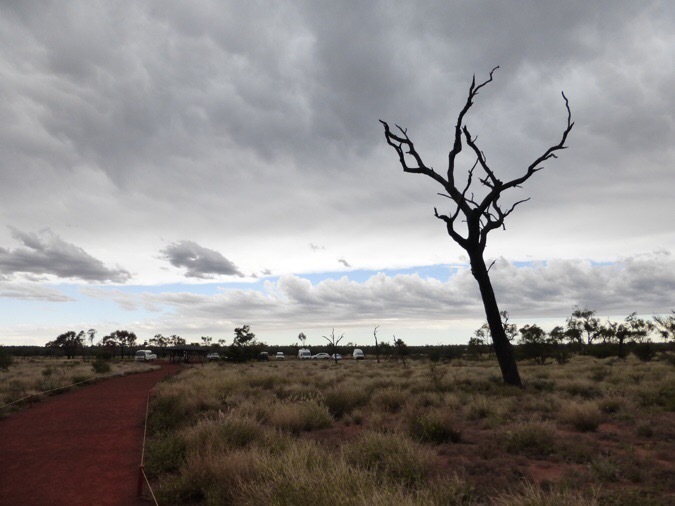 This rain does not help my hitching situation tomorrow or the next day from Kings Canyon Resort. Mereenie Loop that I need a hitch on is often closed with significant rainfall. 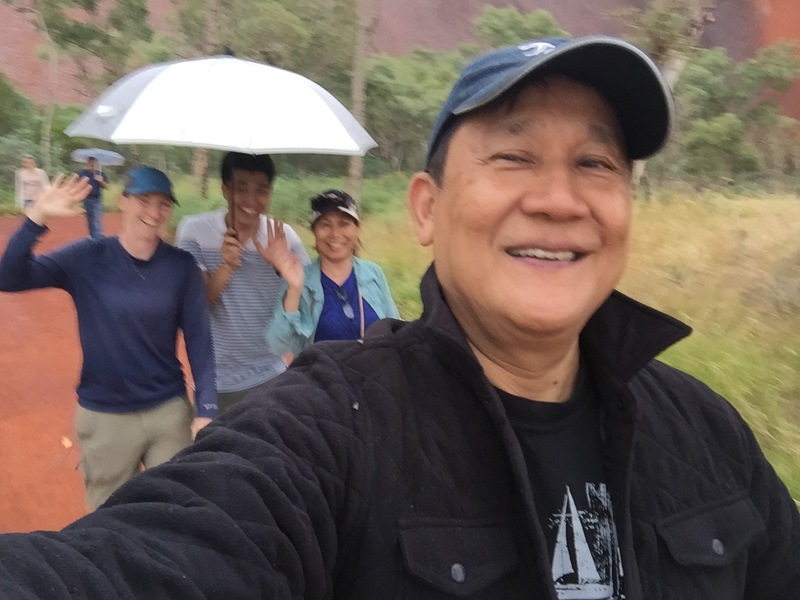 It rained a bunch at dinner time where the tour was scheduled to have an outdoor BBQ as we watched the sunset on Uluru. Instead, we sat on the bus while the guides prepared the food on the grill. Just after everyone finished dinner, the clouds parted just enough to let sun though for just a few minutes. It was a miracle! The sun broke through and everything was gold and Uluru lit up! JB got some great shots as I had to change my camera battery. Terrible timing! I got it right at the end before the gold disappeared. I was still able to get the rainbow just before it disappeared. It was really incredible and unbelievable that we had all that rain, and just for a moment, a full rainbow over Uluru. What luck to have an experience like that! We got back on the bus and 13 of us are staying overnight at Ayers Resort to continue to Kings Canyon tomorrow. We got settled in around 7pm and I’m in a small room with two bunk beds with a mother, daughter, and granddaughter trio from New Zealand. The room is quite bare with tight quarters. A cinder block room with metal beds that makes me feel like I’m in an episode of Orange Is The New Black with these women. They are great and I’m thankful that I got to bunk with them. We are getting picked up at 4:50am tomorrow. No you didn’t read that wrong. It’s hella early! They aren’t messing around with filling the days on these tours, that’s for sure. It’s now 11pm and a live band just finished playing at the resort. I’m super pumped I’m able to post this directly tonight. Fun to have service again after this summer with hardly any service! Wired, is this the bird call? WHAT AN ADVENTURE! I don’t have FB so is it possible to post video snippets on IF (maybe like 24-h uploads)? Thank you. Have fun and aGe journey! Those pictures of Uluru and the rainbow are just…amazing. If this was on your iPhone be sure to check the “recently deleted” album in the camera roll. Should still be there for a while. It just struck me that you are about to experience your second spring equinox of this year. Yes, that was odd and I’m excited to continue to get long summer days. So spoiled this year to not have a winter! I do have some new ones I hadn’t tried cause I’ve had trouble in the past. I used them last night at the hostel and they worked great! JB! Yay! I was listening to a book on Australia and they mentioned the three sirens in Sydney and I was like hey, I’ve seen that! Really great to hang with you guys. I lost my umbrella five days later on trail and am hoping it finds its way back to me! Doing great:) I left it at a break, which I’m known to do with everything! Good news is that they person hosting me in Perth had one just like it and mine may get found. There are logbooks and I put my contact info and told all hikers coming my way to be on the lookout. They don’t get out for a handful of days, so the suspense is killing me! Flying out to Perth for the next hike this morning. Lucky you to see the Centre in the wet. Another front is coming through. I hope it doesn’t ruin the Laparinta experience. When I saw your full rainbow photo, I got extreme goose bumps. Totally amazing! So, glad you got to experience that and shared it with your minions. I second the soft earplugs. And if you fear you are snoring (and getting less oxygen than is optimal, those Breathe Rite nasal strips do help a lot, are light.. and there are generic brands.. So different to see you on a tour bus and without your pack.. sounds like you will be grateful to have your umbrella this trip. Very exciting to be able to follow you on this new adventure! And of course I lost the umbrella as you know. Used earplugs that finally worked for me last night in the hostel. It’s a whole new world! But what a lovely picture of you and the umbrella. ? ? I love reading these! Takes me back to my time there and helps remind me of my amazing experiences, so thank you for reminding me of that while I sit here in Portland 🙂 All of your observations are spot on. 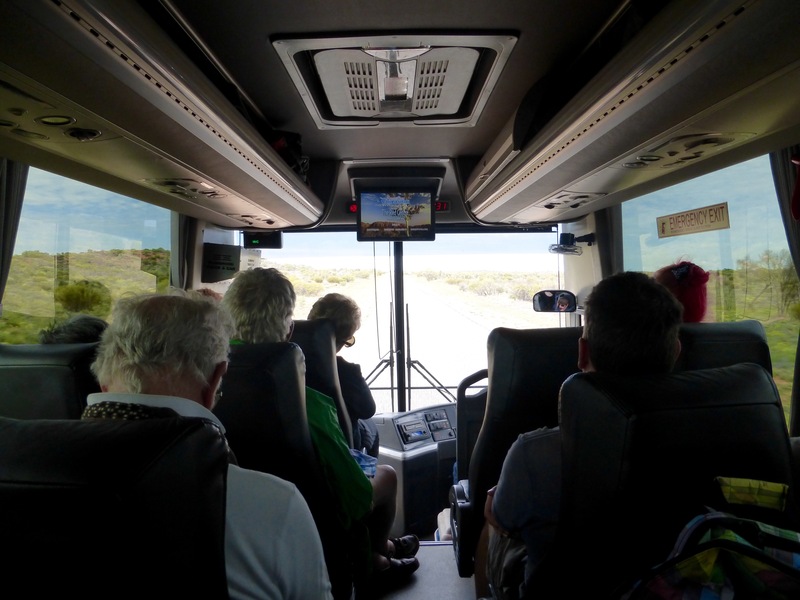 I did similar type tours in the outback up and down the country and you meet some cool people. I totally forgot I should have recommended “Mutant Message Down Under” as an audiobook to read. Its about a woman going on walkabout walking through the Outback with a group of Aborigines and is within my top 5 favorite books of all time. It made a huge impact on me when I was traveling in Australia. I think I picked it up at a bookstore in Coober Pedy. I’m so excited for you. Have fun and love you! Jennifer! I’m totally on this and going to see if I can load it! Reading this made me miss you greatly! I take the point about cultural sensitivities. Our Australian cousins have many fine qualities – but that is not one of them, I’m afraid..
Re snoring: try to fall asleep lying on your right side. And don’t worry, I expect there will be several others to share the blame with! Erin: Kathryn and I got to see Rockin and Dan Friday night in mammoth. We all send our best. As a Camino hiker, I can heartily recommend earplugs and eyeshades for all communal sleeping arrangements. I also recommend lower bunks. Sounds like you’re adapting well to your trip. We’re pumped to hear more. Sounds like you are off to a great start. I love your “learn to adapt” attitude in dealing with scenarios that you wouldn’t necessarily pick if you had the choice. It makes for good travel karma. 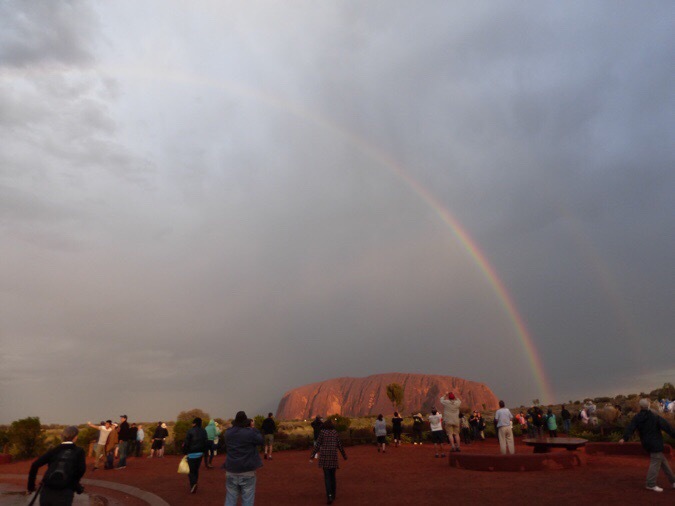 And you’ve already seen a full rainbow over Uluru to prove it. I hope you are able to get to the Larapinta trailhead easy enough. Happy trails! There’s Erin out there makin’ more friends! Glad your trip is really getting underway and you are having fun. The rainbow photos are amazing. What a wonderful recount. We are going in a couple of werks and hoping for more miracles. I love it that you don’t sound too fussed with not having too many photos and videos. What a great memory for you. Thanks for sharing. Oh it surely bugged me, but I’m trying to take deep breaths, ha! Wow. That rainbow is absolutely amazing. I just sent you a Facebook message. Please tell me what app you are using to shrink your photos. I will be at Uluru on October 5th. Then going on to Perth area on the 7th. Looking so forward to the rest of your postings. For anyone wondering, I use Photogene. Someone else told me they use an app called Reduce. Ha! You said “hella”! Thank you from all of your Northern California readers! 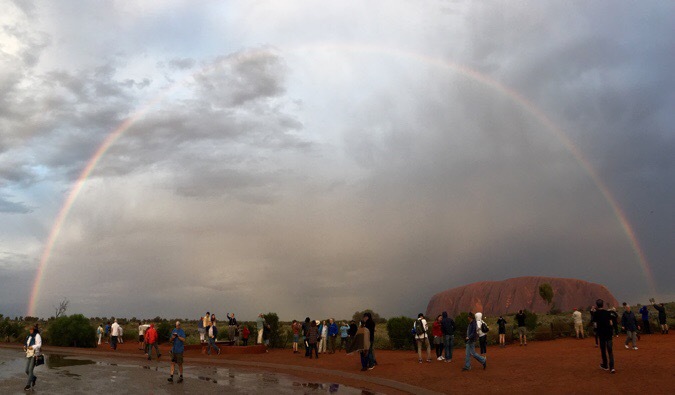 Pure magic with the rainbow over Uluru!